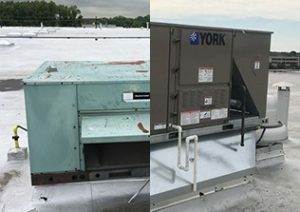 Regardless of the type of heating and cooling units you have, a fast and guaranteed repair is important to ensure minimal interruption during the cold and hot days. At Blue Air One Heating &Air Conditioning, we have qualified HVAC technicians who will arrive on your placeready to offer system inspection and diagnose your unit to get it back up and running in no time. Our residential and commercial HVAC technicians will ensure a thorough repair process, so no issue on your unit is left overlooked. We will inspect your heating and cooling system to identify where the issue roots. 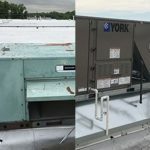 After conducting an inspection, we will repair the underlying problem and get your entire system running. Our goal here is to serve our clients with upfront pricing, same-day repair service, and quality products all the time. With our professional heating and cooling repair, you will not only get your system running properly, but you will also save on your monthly energy consumption. Count on to our expertise when it comes to all kinds of HVAC repair jobs. When your heating and cooling system suddenly goes down during scorching or freezing days in Linden, NJ and nearby areas, you will feel great relief knowing that our technicians are not far away. Whether your problem in your unit is big or small, our technicians will expertly handle the issue, so you can immediately feel the comfort at times you badly need it. With over 15 years of experience in the industry, you can have a peace of mind partnering with true professionals who deliver quality results. Call us so we will know how we can help.